•	identify and study problems in the requirement of new members and retention of current members. The role of the Continuing Education Committee is to encourage professional development on an ongoing basis. We strive to provide programs of general interest to members of IDTA, to promote and facilitate the continued development of members of IDTA, and to ensure the highest quality for IDTA training programs and educational opportunities for Developmental Therapists. 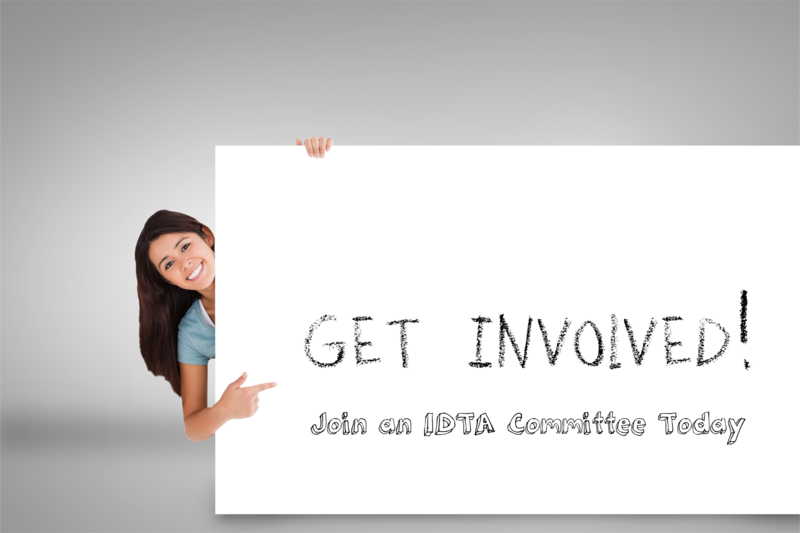 The role of the Publications Committee will be to provide an IDTA newsletter and bring publications and articles of interest to its members. working as a liaison with various local, state and federal agencies. Determining State requirements for Licensure as an independent discipline and fulfilling necessary requisites, terms, conditions, and stipulations to establish DT licensure for the State of Illinois. Drafting an appropriate accreditation curriculum. Making professional contacts to assist in the process of establishing an appropriate accreditation curriculum and program. Collaborating with Illinois Colleges/Universities to incorporate the Developmental Therapist Program into their offered degrees and coursework. Reporting to the Executive Committee and Board of Directors on the progress of the committee and for approval and concurrence on all activities and endeavors prior to implementation of any plan of action. It is the intent of the Illinois Developmental Therapy Association that Developmental Therapists be universally recognized as highly qualified specialists who have met uniform standards of professional post-baccalaureate education, and that the credentials conferred by IDTA will assure the public and other professionals of the competence, integrity, and professionalism of Board-Certified Developmental Therapists.